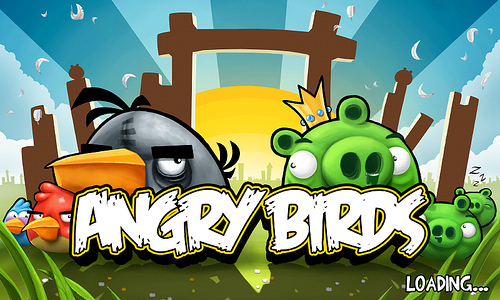 Having racked up over 4 million App Store downloads at 99c, Angry Birds has proved a massive hit for games developer Rovio. Wanting to cash in on the increasing number of Android devices and resulting users, Rovio is looking to bring its wildly popular game to the Android Market, aiming to launch this summer. Rovio has posted a demo video of its Android app on its blog, giving us a 40-second sneak-peak of how well it works on an original Motorola Droid. From what we see here, the game looks, sounds and plays exactly like its iPhone counterpart and can’t be too far from being finalized. If you are an Android user who has never had the opportunity to play this game, download this app. To say you will be addicted is an understatement. Read next: wow, have never seen this. The Exorcist, recorded on set with Linda Blair's own voice.